The Grand Bounce is ranked 3rd best out of 5 albums by Gord Downie on BestEverAlbums.com. The best album by Gord Downie is Coke Machine Glow which is ranked number 9899 in the list of all-time albums with a total rank score of 140. 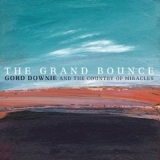 Related links: top tracks by Gord Downietop tracks of the 2010s, top tracks of 2010.